Professional marketers will only use digital tools that are easy to access and rewarding. 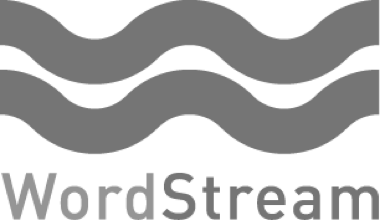 Search Engine Marketing (SEM) experts are Wordstream's core clients. 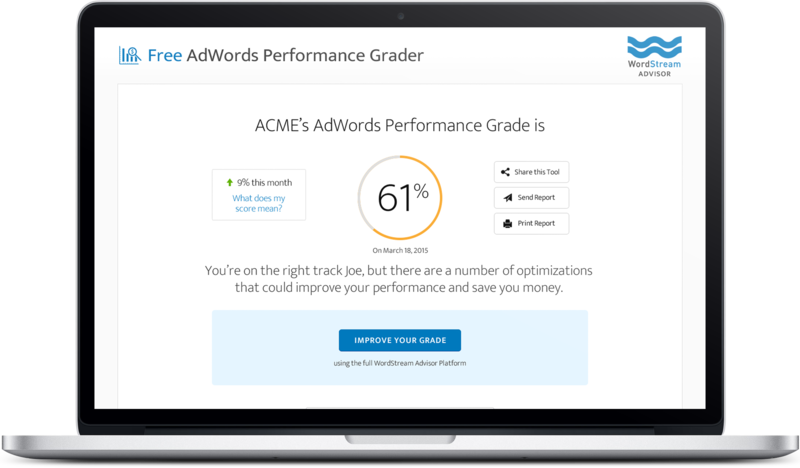 Wordstream's AdWords Performance Grader (APG) is a powerful platform for delivering daily, customized SEM data to these core clients. Our challenge was to make the trial experience and on-boarding so seamless that the prospect experience would start on a positive note and result in a long-term relationship. WordStream’s free tool, the AdWords Performance Grader (APG), benchmarks a client's performance and provides guidance on how to improve SEM across major indicators. 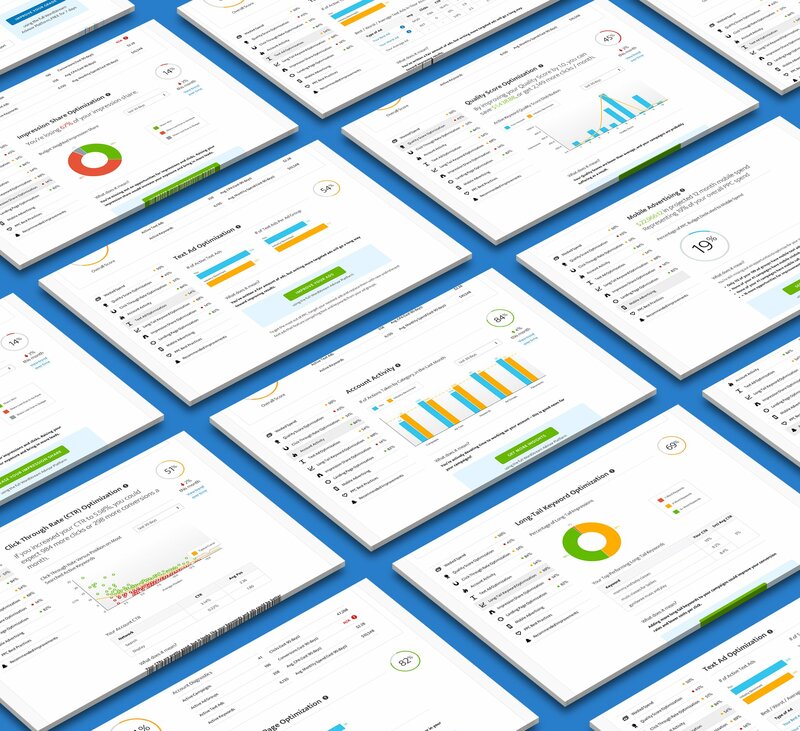 This tool showcases WordStream’s expertise in SEM analytics and insights. With such a perfect, and free, tool at their disposal marketing professionals should’ve been lining up for the trial, but they weren’t. The challenge was to expose the true value of APG, making this something the marketing pros couldn’t ignore. Diving deep into the product, we observed firsthand how clients were experiencing it. Users certainly could find the data they were looking for, but it was a chore. And people loathe chores. 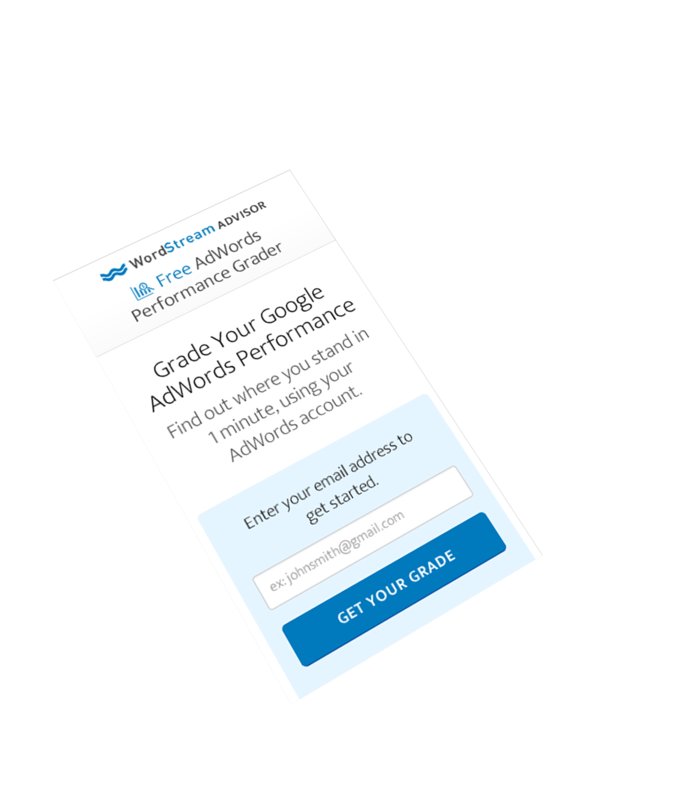 We discovered users had three main goals: learning their Google AdWords score, completing the APG report, and signing up for performance-tracking emails. 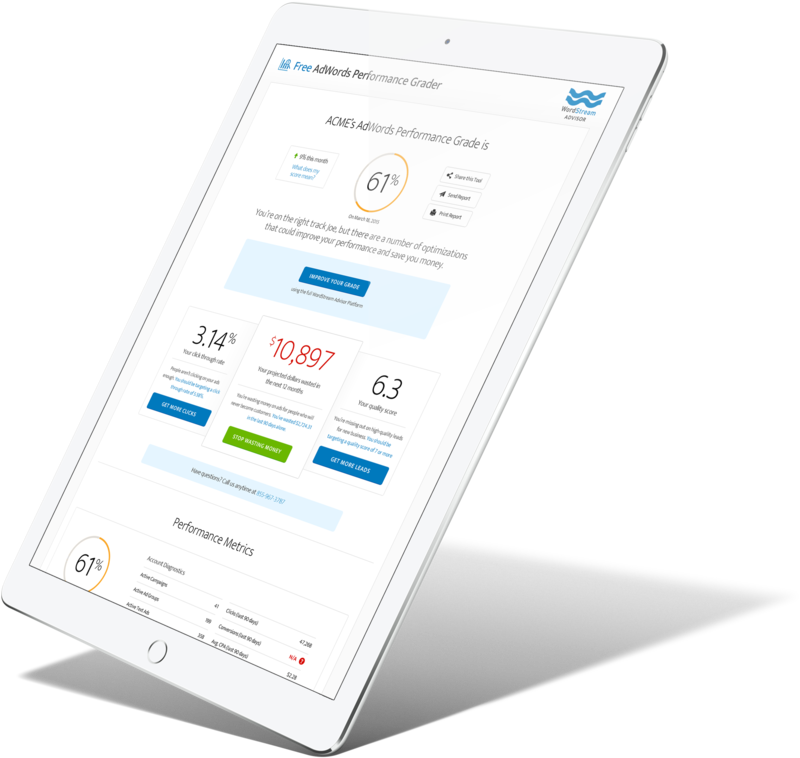 To get optimal conversion, we simplified the design to focus on these specific goals, helping clients reach the actionable data they wanted faster and easier. Previously, users had to bounce between their AdWords and WordStream accounts – a process that frustrated users. 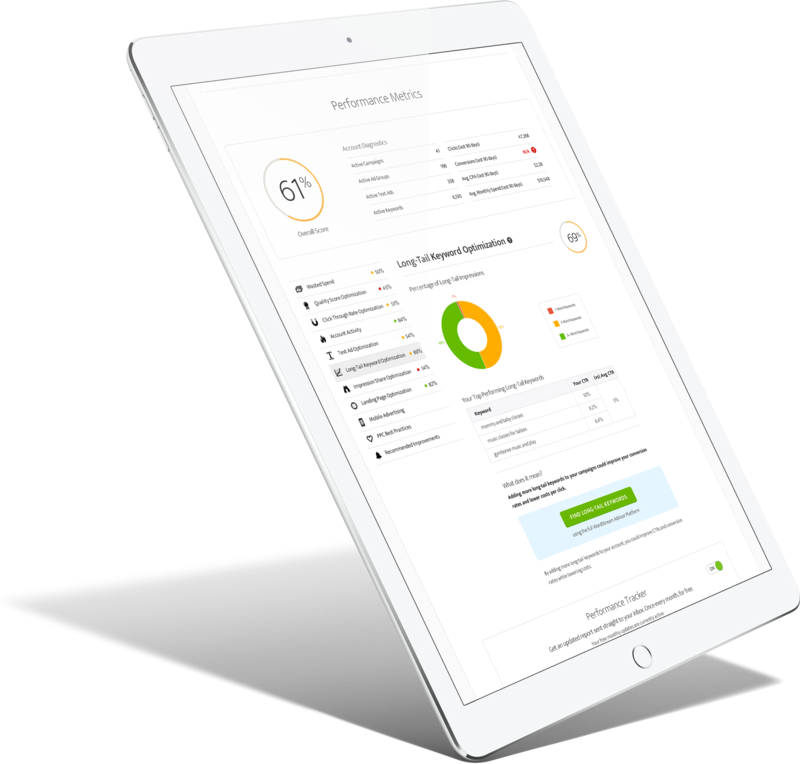 We eliminated this frustration with a workflow that mimicked the user’s daily operational tasks in a simplified single session experience. Introducing a clean, clear, visual design put the focus on the content that matters. 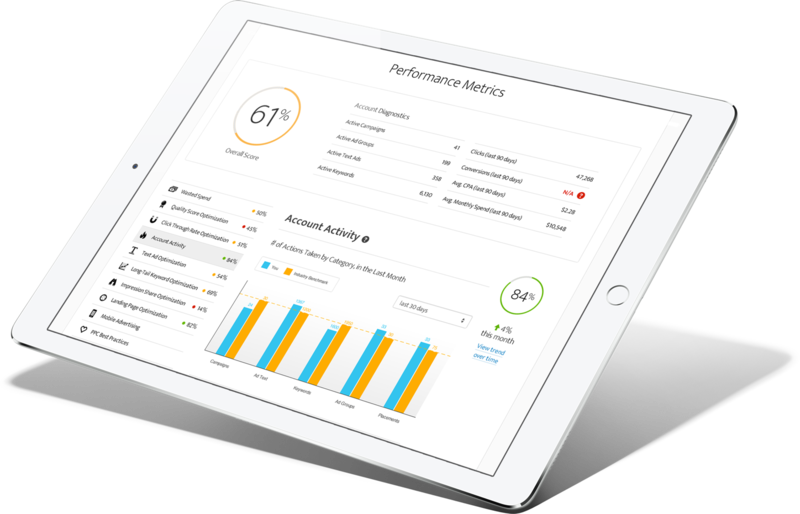 Each client’s metrics have a unique story to tell, so evaluating and prioritizing the hierarchy of the APG report to be tailored for the marketing professionals that would be using it every day is key. To ensure the process didn’t feel transactional (it was a free tool after all) we broke up the registration form to gather only the essential information. 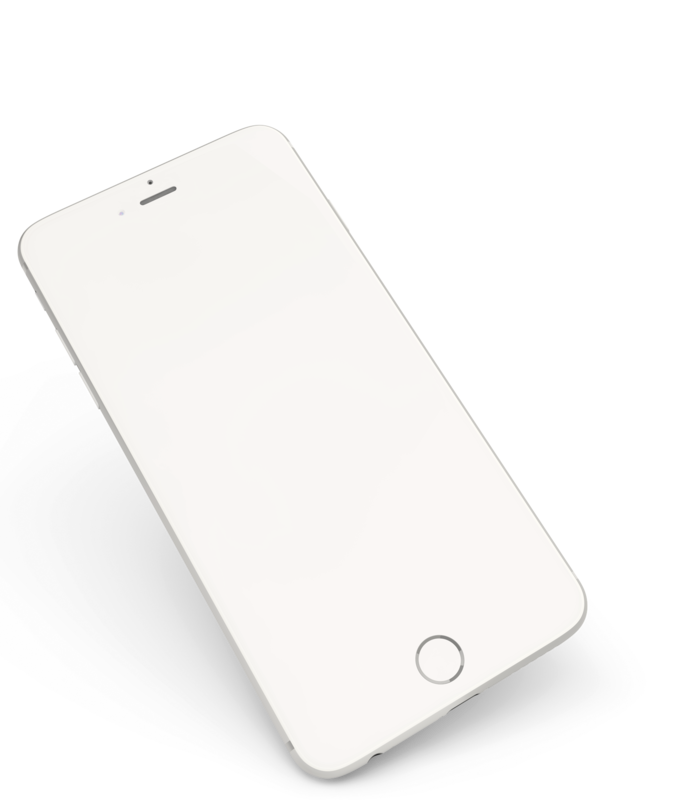 We made the call to action clearer while reinforcing the fact that the tool was free to use. These small details removed the barriers to using the tool, bringing prospects deeper into the application faster and building meaningful relationships with these new users. User testing and usability testing are completely different things with different goals that happen at totally separate times in the design process.